RETURN TO OAKPINE. Ron Carlson. Viking. Ron Carlson has developed a reputation as a master of short fiction, and Return To Oakpine is noted as one of his best pieces of work. In essence, this book is about growing up and facing the aging process – these characters all looking back at the mirrors of their lives, dissecting the roads they’ve traveled, dissecting their lives and the twists and turns that have shaped the journey. Oakpine, like most small towns, is full of small stories and tiny lives that somehow perfectly mesh to together to paint a living breathing picture. As a writer, Carlson has the unique ability to capture the sound of those images in tight and evocative prose that compel the reader to want to know more. 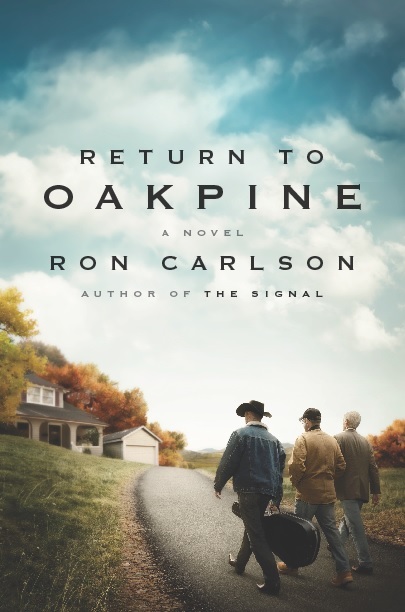 With Return To Oakpine, he has written just such a book – this microcosm of the American story at its finest hour. This entry was posted on July 10, 2013 by Jacob Aiello in 2013, In the Spotlight, July 2013, Rat On Fiction & Nonfiction and tagged Book Review, Books.